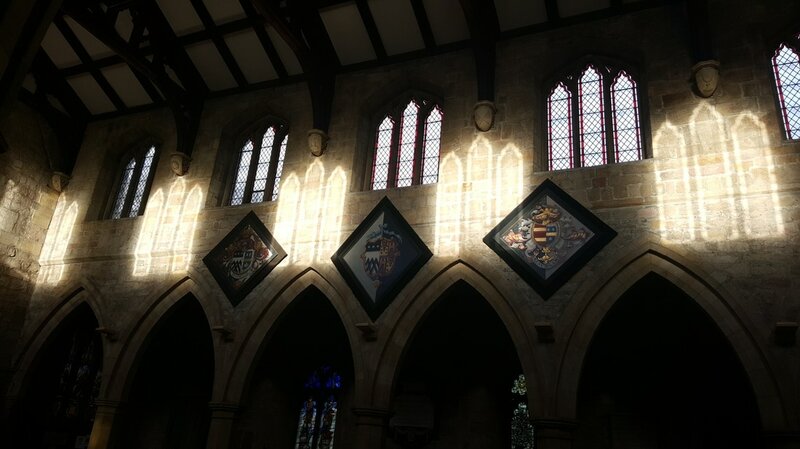 We have regular choirs at St Mary's, Masham and St Nicholas', West Tanfield. Children & adults sing in the Masham choir, while West Tanfield's choir is adults only. Singing 4 Fun meets at 1.15pm in Masham church, usually on the 2nd Tuesday of each month. If you like singing in the bath, meeting new people and would enjoy meeting up with a friendly bunch to sing, come along - no need to be able to read music: anyone who would like to have a go is welcome. Masham has a music group who help lead the Family Service on the 1st Sunday of each month. New instrumentalists, especially young players are always welcome. For further details please email Ian Scott Massie. Masham, West Tanfield and Well all have belltowers and regular ringers. ​At these churches bells can be rung for weddings by arrangement. Our churches are often used for music-making. Look at the Calendar of Events and Services for details of any forthcoming recitals and concerts. During the annual Sheep Fair in Masham, to accompany the flower festival in St Mary's Church, local musicians play throughout the weekend.